See our News and Event Diary section for news of forthcoming events, and also for reports on meetings and working parties. 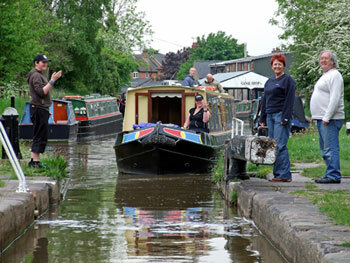 The Trent and Mersey Canal Society is one of a number of specialist charities, whose members share a common interest or concern for their local waterway, or are inspired by the beauty and tranquillity of the waterway and its surrounds. In our case we are dedicated and committed to the Trent and Mersey Canal – one of Britain’s oldest and best loved canals. Throughout its 93½ miles, this superb waterway runs past some of the region’s most breath-taking scenery, with historic waterway architecture and it has some magnificent engineering features – chief amongst them the impressive Anderton Boat Lift and Harecastle Tunnels. The Trent and Mersey Canal Society was founded in 1974 to promote the future well-being of the waterway and provide a focus for all who are interested in this time honoured old canal – navigators, naturalists, businesses, farmers, residents and visitors alike. Throughout the year we attend a number of important waterways events promoting the T&M and the work of the Society. 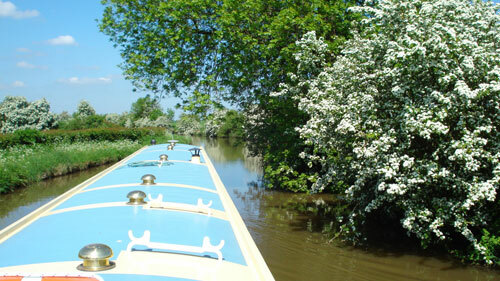 Members of the society also undertake a wide range of activities related to caring for the waterway and infrastructure including towpath tidy days, mile post painting and lock maintenance work on the Cheshire flight. 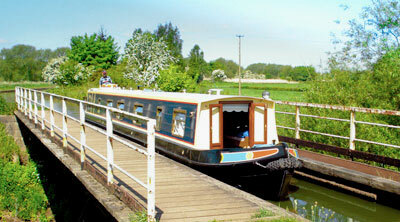 We have a strong membership and are currently concerned with stimulating public appreciation and knowledge of the waterway, thus helping to safeguard its future, landscape and ecology. The programme of social events which we organise for our members each year caters for a wide variety of interests, including presentations on local non-canal interests as well as canals abroad. Our magazine, Grand Trunk is published six times a year. It keeps members up-to-date with changes and developments and contains illustrated articles about how the canal was used in the past, other canals and boating activities as well as topical information about our activities, including forthcoming social events.